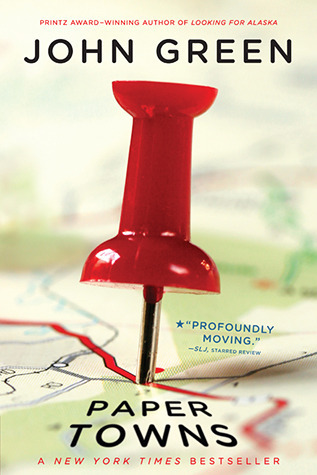 Paper Towns won the Edgar award as the best Young Adult mystery of 2008. Discuss the book as a mystery. How does it fit in with other books in the overall mystery genre? With other YA mysteries? Were you continually captivated by the search for Margo, and did Green play fair with the clues he provided? Is this book primarily a mystery novel, or primarily a realistic contemporary novel? Are such categories important, anyway? Why or why not? I haven't read that many mystery novels, so my definition of what makes a mystery novel is a bit sketchy, but I guess I could call Paper Towns a YA mystery. However, I think it's primarily a realistic contemporary novel. Paper Towns is more about how people see each other that about searching for Margo. The search turns into something more with each clue as Q's idealistic image of Margo slowly changes. She is not the girl he thought she was, Q is not the person he thought he was, and the same with his friends. It's realistic because we do create these perfect or horrible images of people, but how many times we get the time to find out the truth behind this paper cut figure we've place in front of the real person? This is what I loved about Paper Towns. It made me think of things that I'd been doing and reevaluate. At the same time that Q changes his perspective on all things Margo, we are inspired to change our way of thinking. The thrill of the search became not about finding Margo, but about what new revelation Q would have. As far as categories go, they are important to me. If someone had tried selling me Paper Towns as a mystery novel I wouldn't have picked it up because I just don't read mystery. If they had tried selling it as a realistic contemporary, I also wouldn't have picked it up because most contemporary novels bore me. But see, this is because I've created set ideas about these genres. I guess we not only create perfect or horrible images of people, but of books too. Paper Towns managed to blow this prejudice away because I loved both the mystery and the realistic part of it.